A man who was left severely brain damaged when he was starved of oxygen at birth in 1984 is to receive millions in compensation, a court has ruled. 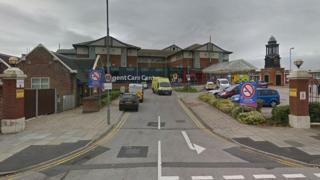 The 35-year-old, who cannot be named, suffered "catastrophic" damage at Blackpool Victoria Hospital, the High Court in London heard. The Department of Health admitted there was a negligent 20-minute delay as he was born, Judge Mr Justice Soole said. He will receive an interim £750,000 payment pending a full assessment. The man's lawyers said medics had negligently delayed his birth and failed to tell his mother, who was in court for the hearing, that she could opt for a delivery by Caesarean section. The judge said that after negotiations between legal representatives over the impact of the delay, the Department of Health had agreed to pay out. Mr Justice Soole said the brain damage meant the man had intellectual and behavioural problems and required 24-hour care. Offering "sympathy and apologies" to the man and his mother, the Department of Health's lawyer Jasmine Skander said the hospital's "management and procedures" had "changed considerably since 1984". Approving the settlement, the judge said it would be a "very great relief" to the man's mother, who had cared for him throughout his life. The action was taken against the Department of Health because it was responsible for Blackpool Victoria Hospital at the time. Speaking after the hearing, Ms Skander said bosses accepted that the management of the birth "fell below the standard to be expected". "Those failings are a matter of profound regret, for which we offer our apologies," she added.